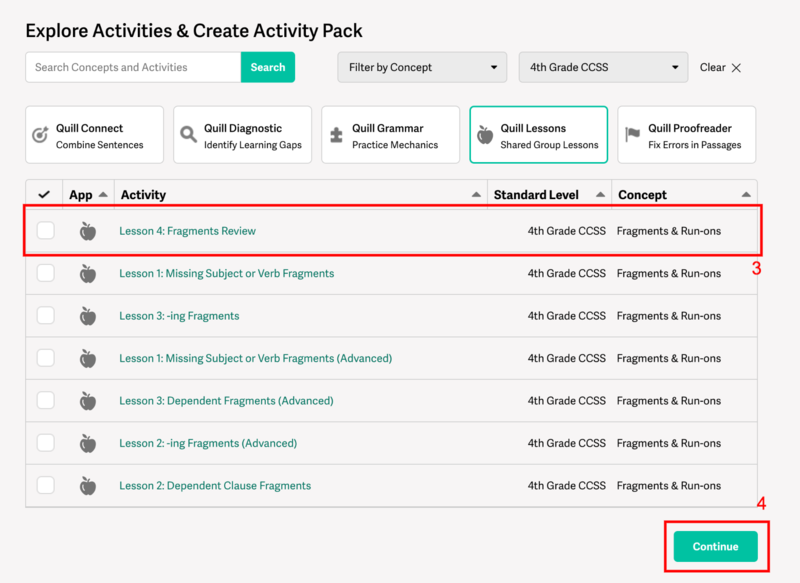 How can I assign and launch Quill Lessons activities with my students? 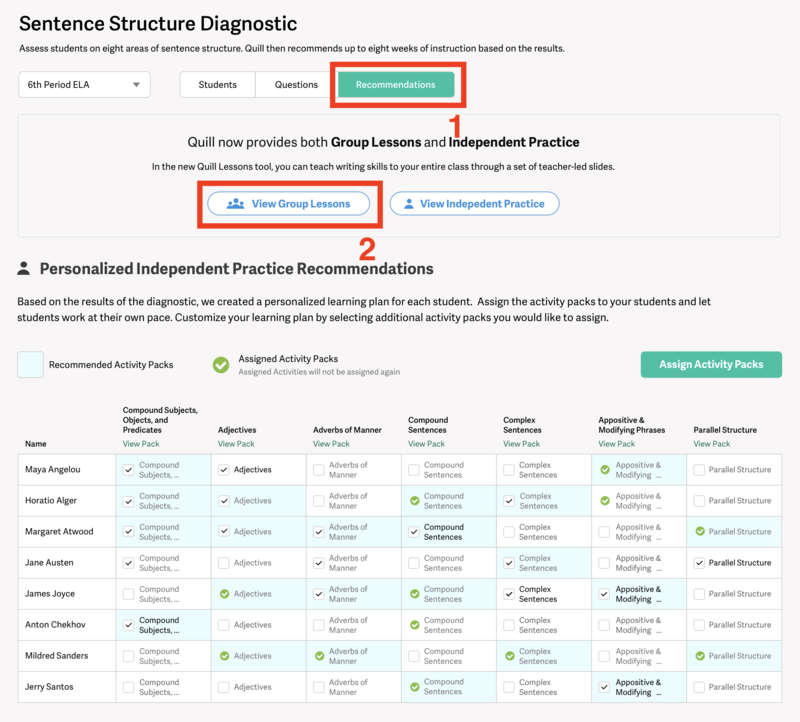 If you have already assigned one of Quill's diagnostics and your students have completed it, you will be able to assign recommended Quill Lessons activities to your classroom. 1. Go to your diagnostic recommendation page. 2. Click on "View Group Lessons"
Click on "Assign Activities" tab. On this page, click on "Quill Lessons"
3. On the Explore Activities pack page, you will see a list of our new Lessons activities. 4. Check the box next to the activities that you would like and click on "Continue"
Click on "Featured Activity Packs" from the Assign Activities sub-nav. 3. 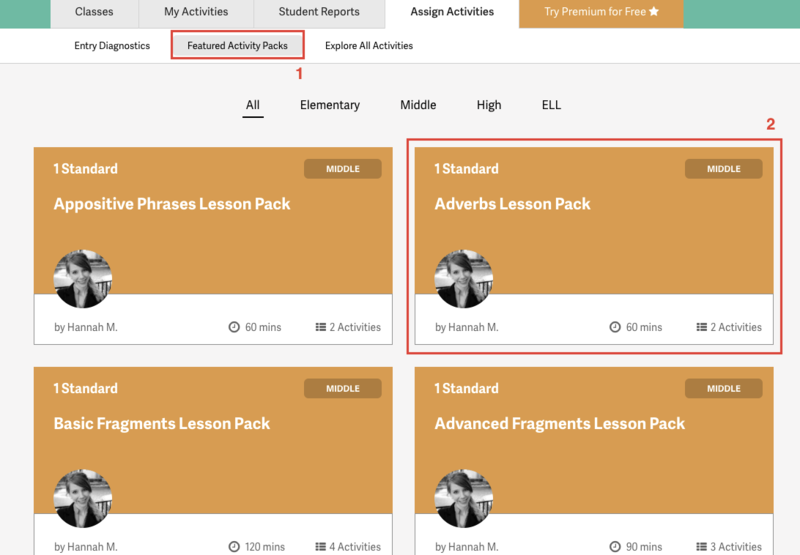 On the next page, you can select a Lessons Pack to assign to all your students, or customize which students are assigned the lesson. 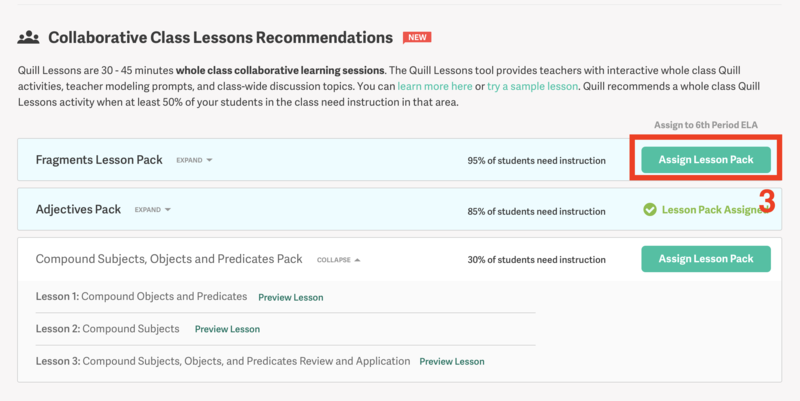 Recommendation: We recommend previewing the lesson before launching it with you students, so you can explore the teacher notes, practice the teacher model, and become accustomed to the interface. 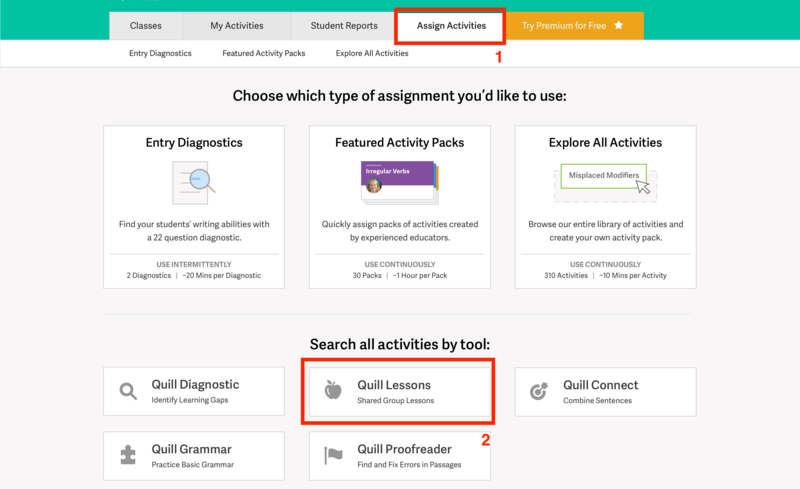 In order to launch a Quill Lessons activity, you should click on "My Activities" tab. Click on "Lessons" from the white bar below the My Activities tab. 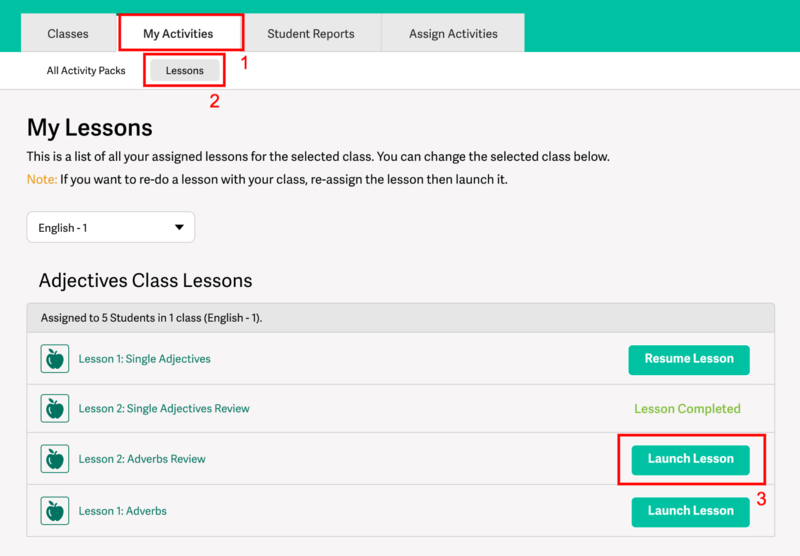 On the lessons page, you will have access to all the Lessons activities that you have assigned, and you can choose to Preview or Launch lessons.